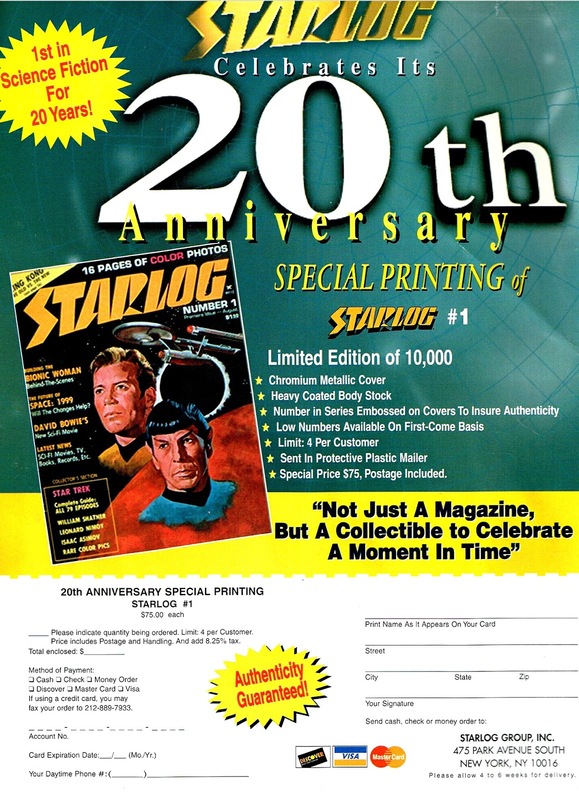 From 1996: STARLOG MAGAZINE celebrates 20 years in print with an expensive premium reprint that probably really is genuinely hard-to-find today. At 75 bucks a copy (including postage... thanks guys) I wonder if this was ever a sell-out item. although my collection is missing this issue, I did order numbers 2 and 3 direct from the publisher ( in the days before they let their entire back issue inventory go up in smoke ). quite pricey and it took months for those issues to arrive in the mail.